Source code is the actual code that you write, which needs to be converted into lower levels of code for computers to actually run it. In Java, the source code is converted into Java Bytecode, which is then run on the Java Virtual Machine (JVM). 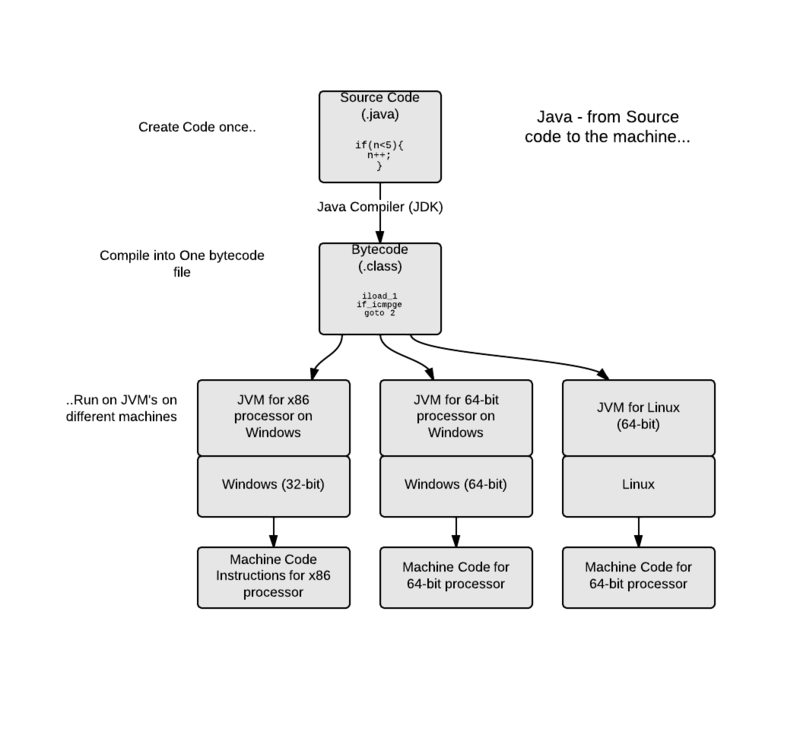 To run any Java program on your computer, you need to have "Java" installed, i.e. the JVM. You probably have it already, but it can be downloaded here. To compile your Java source code into Java Bytecode, you need a Java compiler, which is included in the Java Development Kit, or JDK. Update: You can now download the JDK with BlueJ from the BlueJ website. This is the easiest way to get everything set up. That was maybe the most challenging problem I have had to do on Learneroo. I wish I could see other people's solutions.